The river Ganga pronounced in English as Ganges is the largest and most sacred river of India. It is also termed as the National river of India. 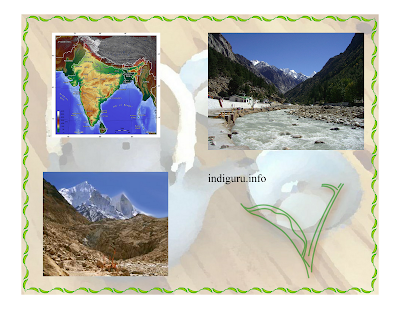 It originates from the Gangotri Glacier in the Uttarkashi District in the Himalayan state of Uttarakhand. The point from which the Ganga originates is called Gomukh, which means the mouth of a cow, for this point resembles the mouth of a cow. This point is the terminus of the glacier.